Steve Rozenboom assumed CFO responsibilities at Holy Cross Medical Center January 20, 2014. Mr. Rozenboom has over 35 years experience in corporate / business financial management, the past 17 years in health care in CFO and controller positions. After spending the first 18 years of his career with US government defense contracting organizations, Mr. Rozenboom transitioned to the healthcare industry becoming the CFO at United Hospital District (UHD) in Blue Earth, Minnesota in 2000. Prior to this appointment, Rozenboom had been elected to and served on the Governing Board of UHD, chairing of the Finance Committee. 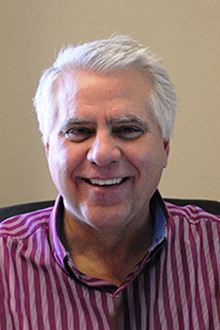 Rozenboom continued his health care career working as Hospital Controller at Lakeview Memorial Hospital in Stillwater, Minnesota from 2006 – 2013 before joining THS. At THS, Mr. Rozenboom is a member of the senior leadership team and has overall responsibilities for accounting / finance, revenue cycle, business office, health information, and materials management departments. He also has membership in the Taos Community Health Plan PHO, serving as Treasurer. Mr. Rozenboom holds a business degree from Iowa State University.